Following the launch of the UK MEREPS report, IARS wrote to the Ministry of Justice to bring to their attention the evidence based findings of the project "Restorative justice in the secure estate: Alternatives for Young People"
On 1st December, Independent Academic Research Studies in partnership with the RJC held "Restorative Justice & the Secure Estate: Alternatives for Young People in Custody. The UK MEREPS research has been completed and the findings are being presented at a national conference in London. 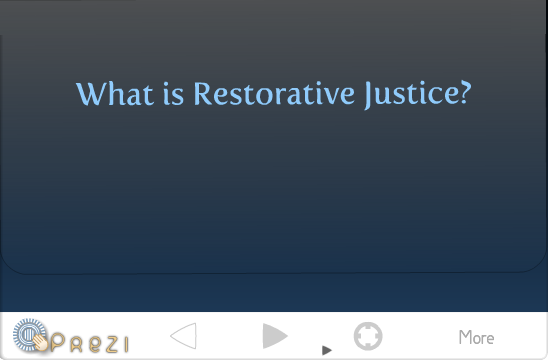 As part of IARS effort to use MEREPS findings to influence national and European policy and restorative justice practice, Dr. Theo Gavrielides, IARS Director and UK lead for the MEREPS project will present its findings at a national conference in June. The new year started with some good promises for the IARS-based restorative justice work as the MEREPS fieldwork is coming to an end and two more seminars have been confirmed with Open University, ICCCR. The book is edited by Dr. Gavrielides and published by de sitter Publications, Canada. The project is carried out under the auspices of Independent Academic Research Studies (IARS), Open University and Mount Royal University.